BLACKSERMONS.COM was conceived in 1998 by Dr. L. Ronald Durham, who saw the vision to provide busy pastors with powerful life-saving sermons to ignite their own spirit-driven ability. 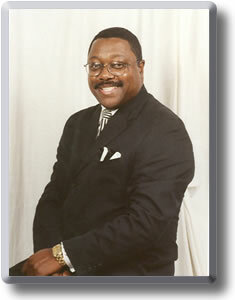 Dr. L. Ronald Durham began his ministry at the age of 16, was licensed by Rev. T. H. Alexander of Union Baptist Church in Passaic, NJ, and was accepted on full scholarship to Shaw University in Raleigh, NC. He completed his graduate and doctoral work at Evangel Christian University in Monroe, LA, and holds an honorary Doctor of Divinity degree from Bethune Cookman University, Daytona Beach, FL. Dr. Durham is a prolific writer, published author, and a former teacher for the National Baptist Congress of Christian Education, USA Inc. His book, The Secret Power of Prayer is the bedside devotion book for many pastors and lay leaders. He has also written for the Sunday School Publishing Board of Nashville, TN, the Townsend Press Commentary, and the Christian Informer for many years, and is published in numerous other venues. Dr. Durham was the pastor of First Baptist Church of Anderson, NJ for 16 years, First Mt. Zion Baptist Church of Newark, NJ for 11 years, Greater Friendship Baptist Church of Daytona Beach, FL for 12 years, and is now a radio host for the City of Daytona Beach as their Community Relations Manager. Despite his busy schedule, he continues to prepare sermons each week that inspire pastors worldwide to preach of Christ's power to save to the utmost. BLACKSERMONS.COM is a committed support network for pastors and preachers around the world. Sermons are written in several different styles including expository, story-telling (traditional), illustrative (topical), and three-point (alliteration is often used)...that pastors might touch the hearts of the greatest number of souls with the life-saving message of Jesus Christ.